An amazing number of 301,036 pilgrims received their Compostela certificate in Santiago in 2017, according to statistics from the Pilgrims Office. This reflects the number of pilgrims walking at least the last 100kms of any of the Camino routes and requesting their certificate; or cycling at least the last 200kms. 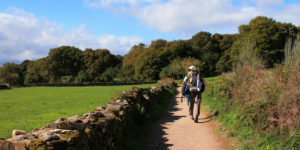 But which are the pilgrims top Camino routes? The favourite route is still the Camino Frances which is the classic Camino route, with 180,738 pilgrims, 60.04%. With 19.68% or 59,235, the Camino from Portugal is the second most popular among pilgrims. 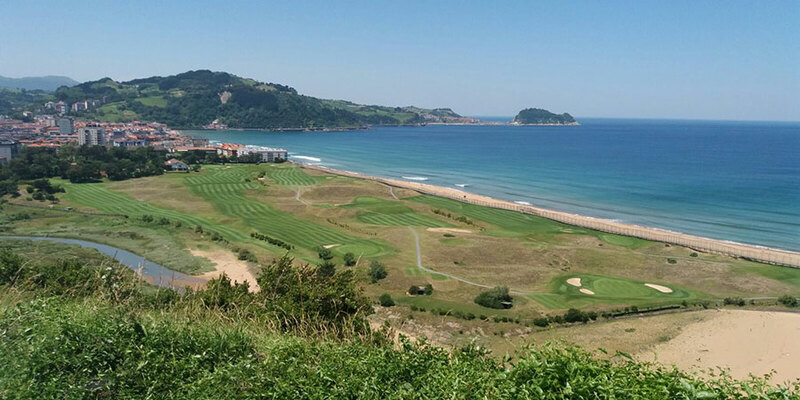 This route from the Basque Country and taking in the Northern Coast of ‘Green Spain’, the Northern Camino attracts 5.92% of pilgrims, 17,836. 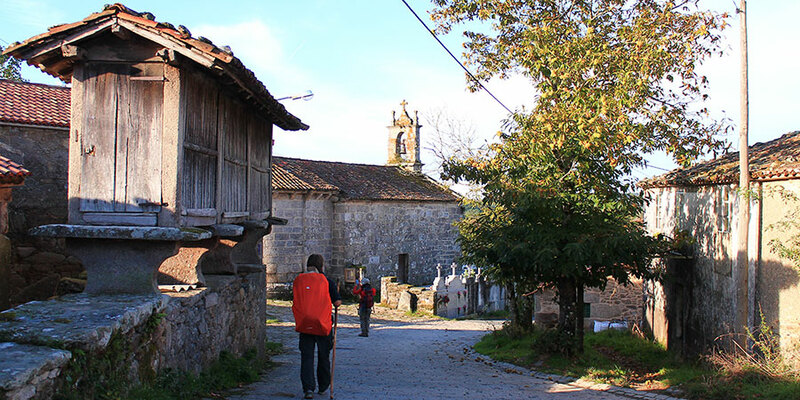 13,684 or 4.55% of pilgrims took the Camino Primitivo, the oldest Camino route, coming from Oviedo in Asturias. 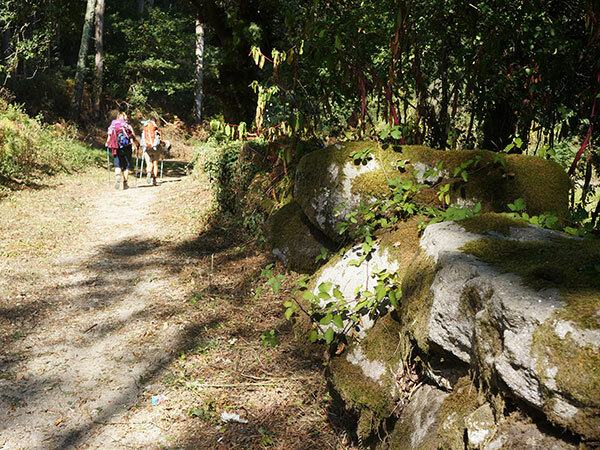 The Camino Ingles from Ferrol is the route traditionally followed by pilgrims from Britain and Ireland. In 2017, 11,321 (3.76%) chose this Camino to Santiago. You can also start from A Coruña but you won’t qualify for the Compostela, unless you take the newly established Celtic Camino. 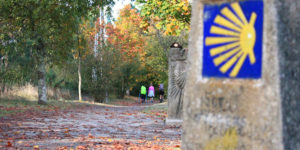 The Via de la Plata which is the longest trail starting in Seville was the route chosen by 9,138 (3.04%) of the pilgrims. You can start from Ourense to qualify for your Compostela. The Portuguese Coastal Camino route has only been official for a couple of years but its fantastic scenery has attracted 7211 pilgrims, 2.39% of the total. 665 pilgrims (0.22%) took the Camino to Fisterra and Muxia, the only Camino route starting in Santiago. How did pilgrims get to Santiago? 92.51% (278,490) of pilgrims arrived on foot, 7.29% (21,933) by bike, 0.14% (417) on horseback and 0.01% (43) did the Camino on wheelchair. 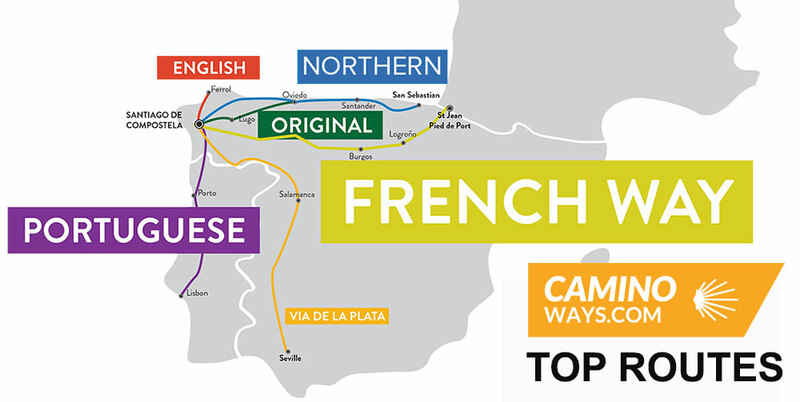 What are the top Camino starting points? The market town of Sarria in Galicia is the most popular Camino starting point, it is 111kms away from Santiago on the Camino Frances. 26.48% of pilgrims start their journey here. This town at the foot of the Pyrenees in the French Basque Country marks the very beginning of the Camino Frances, some 800kms to go to Santiago! 11.02% of pilgrims walk the full route from St Jean each year. Colourful Porto is the starting point of the Portuguese Coastal Camino and also a popular spot to start the Camino Portugues. 22,335 pilgrims commenced their trip from Porto last year, 7.42%. Tui, by the River Minho and just across the water from Portugal, is a very popular starting town for pilgrims on the Camino Portugues. Over 20,000 people start here every year. A fantastic historic city, Leon is another favourite starting point on the Camino Frances, approximately 300kms from Santiago. 3.86% of pilgrims chose Leon as their starting point. The port city of Ferrol in Northern Galicia is a classic starting point for Camino pilgrims from Britain and Ireland taking the Camino Ingles. Over 10,000 pilgrims start their journey from the scenic mountain village of O Cebreiro, in Galicia, on the Camino Frances. King Alfonso II was the first pilgrim to make the journey from Oviedo, capital of Asturias, to Santiago, on what is known as the Camino Primitivo, the original way. Over 7,900 pilgrims (2.63%) follow in the royal footsteps. 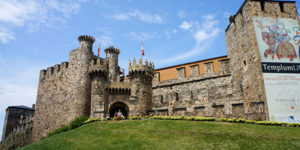 Home to the impressive medieval Templars Castle, Ponferrada is 200kms away from Santiago and another popular point to start the Camino Frances. 2.54% of pilgrims, over 7,600 start the Camino in Ponferrada. The International Bridge over the River Minho separates Valenca do Minho, in Portugal, and Tui, in Galicia (Spain). Valenca is another lovely town to start your Camino Portugues. *Statistics from the Pilgrims Office in Santiago de Compostela for the year 2017.